In the Obamacare case, the Supreme Court ruled that the federal government couldn’t threaten to take away existing Medicaid funding from a state that refused to go along with Obamacare’s expansion of Medicaid. The level of coercion was too great, the court said. In practice, it left states with no choice in the matter. waiver was required — and seldom given. But under a reasonable interpretation of the court’s recent decision, that might no longer be true….The Supreme Court’s rationale  holds significance for a much broader question: What might there be in the existing Medicaid rules that could also be held to constitute coercion? 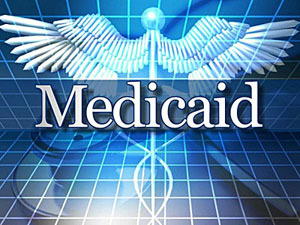 The governor of Maine contends that if his state wants to limit eligibility for Medicaid, to save state dollars, it has the right to do so without having to get a waiver from the federal government or losing any federal funds it now gets in proportion to the level of coverage. Maine will pay its share, and the federal government should pay its too, for the smaller amount of coverage. Anything else, according to his argument, constitutes coercion, and the logic of the Supreme Court ruling should strike it down. Campbell is a smart guy and a non-wingnut conservative. But I sure don’t see where this comes from. Medicaid expansion is a brand new program, and the Supreme Court said that states couldn’t be forced to accept a new program. There had to be some legitimate scope for real negotiation. But current rules are different: the states accepted those long ago. The federal government isn’t forcing anything new on them when it says they have to get a waiver if they want to deviate from these rules. So what am I missing? This seems completely unrelated to anything the Supreme Court said in the Obamacare case. It would mean that states can unilaterally opt out of rules they’ve already agreed to without any penalty, which in turn would essentially mean that the federal government would have no authority to set rules at all. Even the court’s conservatives would surely balk at that, wouldn’t they?